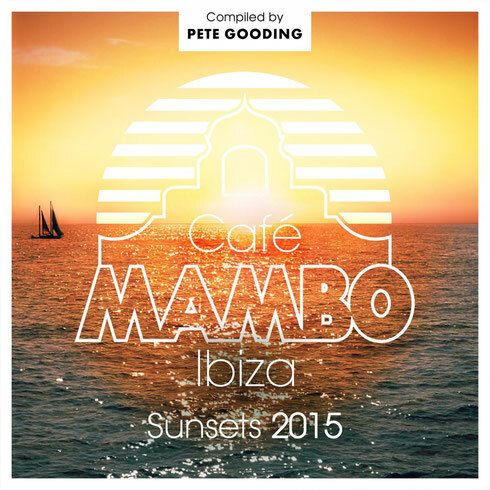 A limited edition vinyl release of ‘Café Mambo Ibiza Sunsets 2015’ is being released by UMTV on 25 September 2015. The double vinyl LP features tracks and mixes by artists such as David Bowie & Pat Metheny, Velvet Underground, Carl Craig, Lydmor, Balearic Gabba Sound System, Gilles Peterson, Timmy Thomas, Young Marco and Now Now Now, and follows the digital release of the album. The vinyl version has been curated by Café Mambo resident DJ and album compiler Pete Gooding and features a selection of Balearic classics featured on the 43-track digital release. For me this is one of Carl Craig’s best remixes, it takes you on an incredible journey from start to finish and I have been playing this at Café Mambo for many years. It was always very hard to get hold of on vinyl so its great to make it available to people. This is a lesser known track that has been edited by Enzo Elia from Balearic Gabba Sound System in Italy, for me this is the best Balearic track I have come across in the last few years, its a timeless piece of work that is as good as tracks like: Pacific State and Sueno Latino. A beautiful track from David Bowie & Pat Metheny that sounds so perfect in the sunshine, one of the previous Mambo DJ’s called Danny Whitehead used to play this all the time at the bar so it was a matter of time till it made it on to one of our compilations. I made this track with Cafe Mambo in mind around 4 years ago, its a very melodic, atmospheric, ambient track that was designed specially for sunset. I made this with a friend from Miami called Jonathan Cowan. This is Balearic classic from the days when Alfredo played at Amnesia, say no more. This is a great track from French Jazz artist Chassol and with Gilles Peterson’s re-edit it’s even better, I heard Giles play this on his radio show about 6 months ago and got straight in touch with the artist of Facebook saying I needed it for this compilation and he was really happy to be part of it so I was very pleased. This is a beautiful track taken from the Dutch producer’s latest album, all the tracks are great but as soon as I heard this one I knew it would sound great at sunset.